In setting up a makerspace in my media center, I’m constantly on the lookout for effective, flexible storage solutions for the myriad of supplies we have. I think I’ve found one of the best ones out there in Copernicus. I started with one Book Browser Cart (similar to this one) that I got through the Scholastic catalog and used it to store K’nex. It worked so awesome that I bought a second one, additional smaller bins and one of their STEAM Maker Stations. If and when we get a 3D printer for our library, I plan on getting one of their 3D printer carts. Since I constantly talk about these carts at presentations, I figured it was about time I put together a post explaining why these carts are so fantastic. 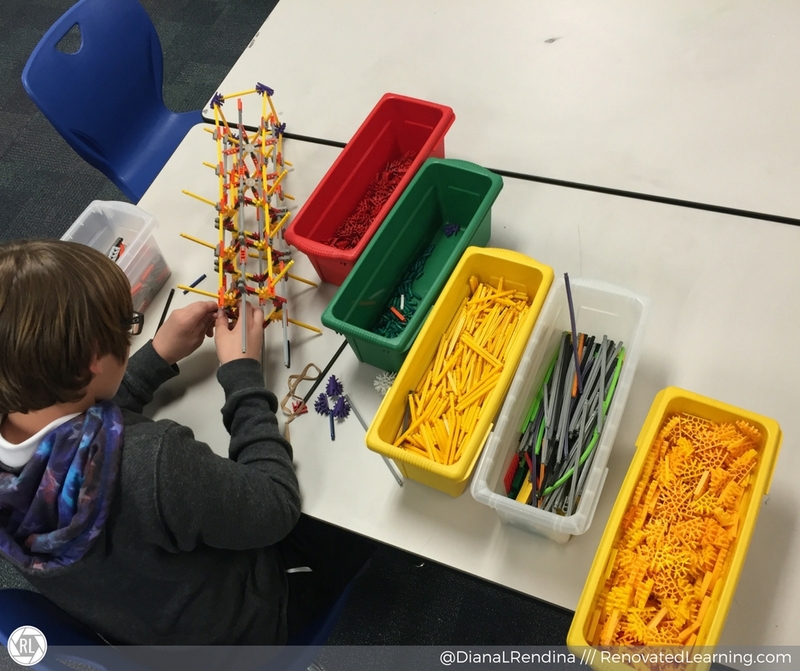 Mobility is essential in pretty much any makerspace. 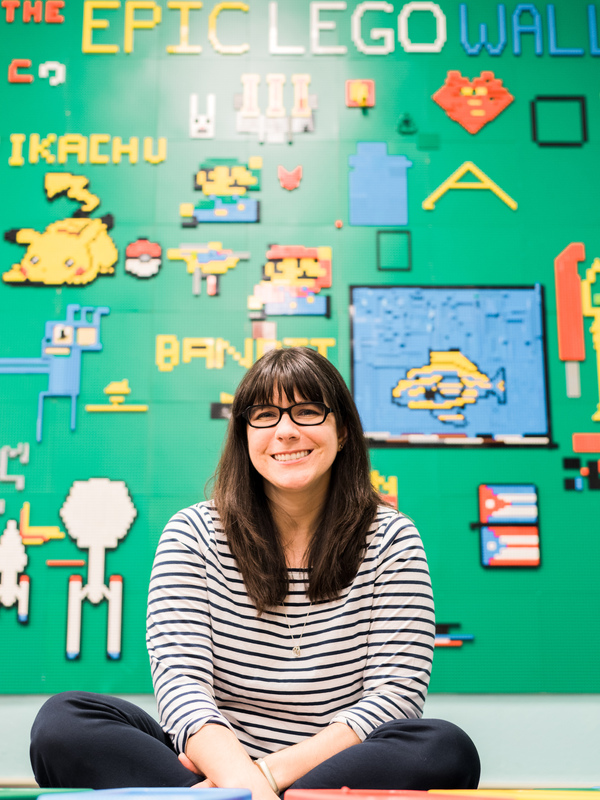 Even if you have your own dedicated room for your space (lucky you!) being able to move supplies around the room is still helpful. 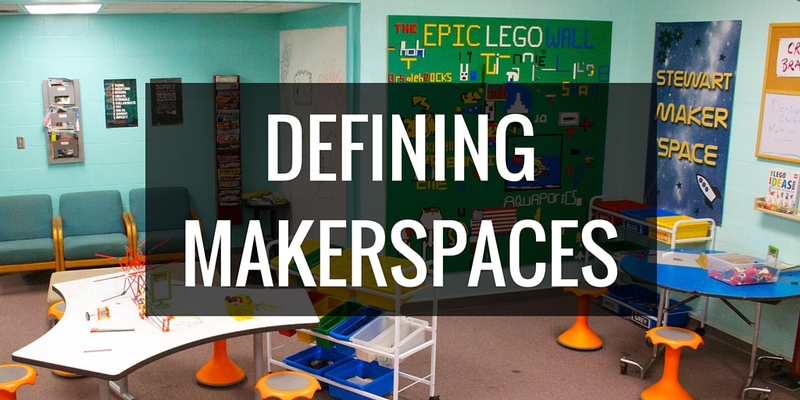 For many makerspaces, supplies have to be moved out of the way or locked up at night. Copernicus carts have locking casters/wheels that allow you to move them throughout the room. You can lock them if you want the carts to stay in one place. I’ve had these carts for over a year so far and they’ve held up wheel. The STEAM station wheels are super durable, but I do worry a little about the book browser ones. 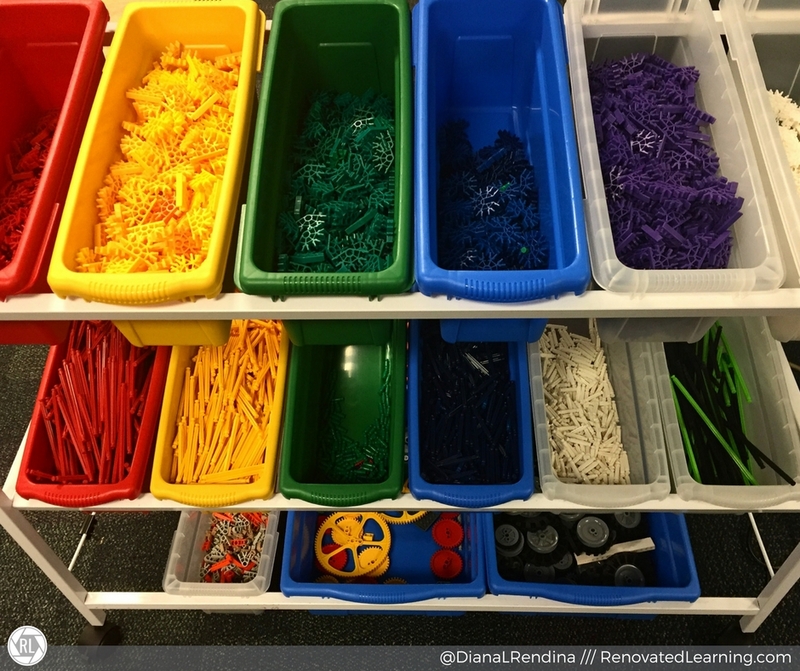 Many makerspace supplies (think LEGOs and K’nex) are easiest to store by color coding them. Since the Copernicus tubs come in primary colors, I’ve used them to color code all of our LEGOs and K’nex. 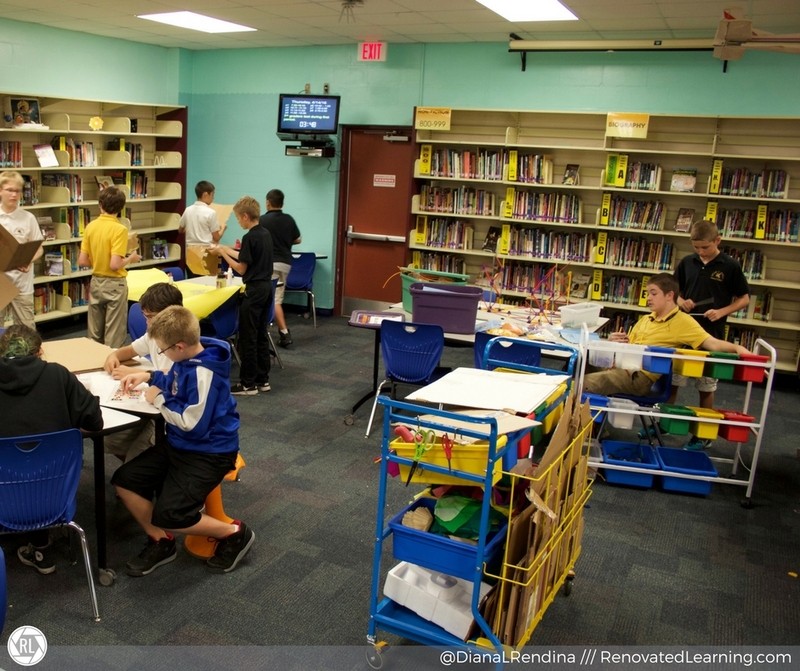 I have one cart for LEGOs and another for K’nex and both carts are out on the floor of the media center and available to students all the time. Copernicus carts are super modular. You can arrange it so the bins sit at an angle or lay flat. Tubs can be mixed and matched as your storage needs change. You can even add their tech-tubs to the carts and store devices. This makes it easy to accommodate a variety of learning styles as well. Some of my students prefer to work at a table and grab supplies as they need them. Some like to work on the floor. Others want to work in different areas of the library. The tubs are easy to pick up out of the cart, so it’s easy for students to work in the way that’s best for them. I spent bookfair money last year to get our STEAM Maker Station and my students LOVE it. We use ours to hold a variety of arts and crafts supplies, especially the ones we tend to use during our Stewart Makers Club. I do need to work on labeling the bins better so that students know where to put things, but other than that, it’s awesome. It has dedicated cardboard storage on the bag, hooks for scissors and a tape holder with a cutting blade. We use the bins for hot glue guns, cardboard cutters, regular glue, paint and paint brushes, etc. Most days this bin stays in our Maker Room (more on this here) where students can access, but we roll it out onto the main floor during Maker Club. 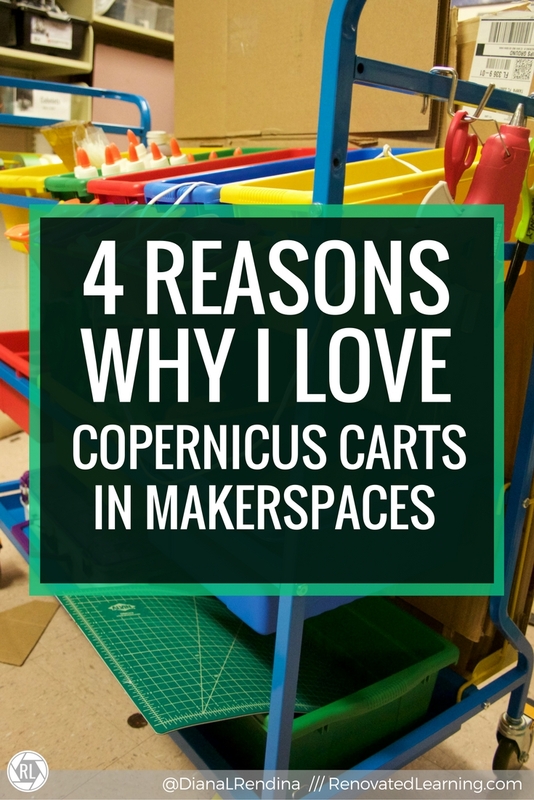 Do you use Copernicus Carts in your makerspace? 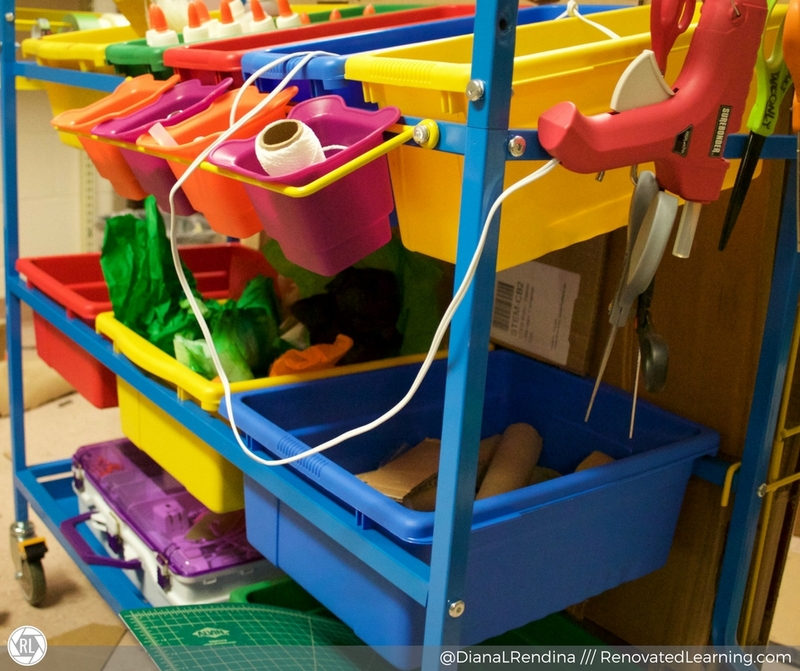 What’s your favorite makerspace storage solution?